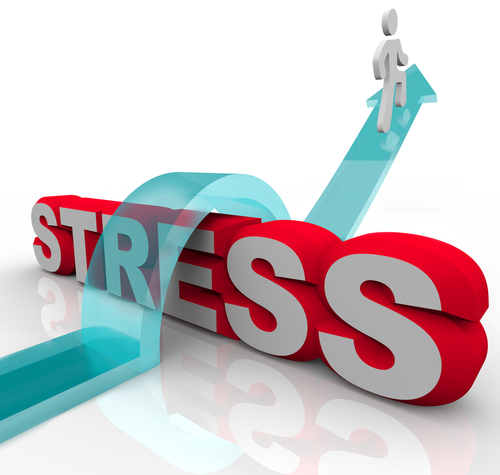 Can Neurofeedback Help Reduce Stress? It can help alleviate the symptoms of Stress. It can train the brain to cope better with Stress and avoid the symptoms. Because Stress is not measured directly, researchers don’t study the impact of Neurofeedback on Stress; however, they have studied the impact of Neurofeedback on many of the symptoms and causes of stress that can be measured. For example the first study on using Neurofeedback to reduce Anxiety was published in 1978: Hardt, J. V., and Kamiya, J. (1978). Anxiety change through electroencephalographic alpha feedback seen only in high anxiety subjects. Science, 201, 79-81. This paper considered multiple studies on Neurofeedback treatment for Anxiety and Depression, finding finding particularly positive research support for the treatment of anxiety disorders, finding “particularly positive research support for the treatment of anxiety disorders”: Hammond, D. Corydon. “Neurofeedback treatment of depression and anxiety.” Journal of Adult Development 12.2-3 (2005): 131-137. Stress is a common term in our current busy society and is best described by how one feels and responds when dealing with challenges and pressures. Stress can be experienced within relationships, at school or work and when dealing with health or financial issues. The responses to stress can vary enormously; for one, stress can have a motivating effect (sometimes called ‘eustress’) and he or she will work harder and be more focused, for another it can limit his or her concentration and mistakes are made. For some it can even cause more severe consequences. This ‘bad stress’ is sometimes called ‘distress’. The cause of stress is the production of excessive ‘stress hormones’. When experiencing pressure, the central nervous system is activated, which enables the body to produce stress hormones as part of the natural ‘fight or flight response’ designed to prepare our bodies mentally and physically for danger. Normally, the level of stress hormones will stabilize again, when the pressure has gone, but when there is persistent pressure, or when pressures are too high to cope with, the level of stress hormones stays too high, generating several mental and psychological symptoms. In such situations, stress can, for example, have a great impact on someone’s feelings, thoughts, and behaviors, as well as appetite and sleeping patterns. An important point is that what makes us stressed differs from person to person and that stress is a problem when an individual perceives that the demands on them are more than they can cope with. Stress is experienced symptomatically different from person to person. It is important to identify symptoms of stress in an early stage because when untreated, stress can cause (more) severe mental and physical health problems. 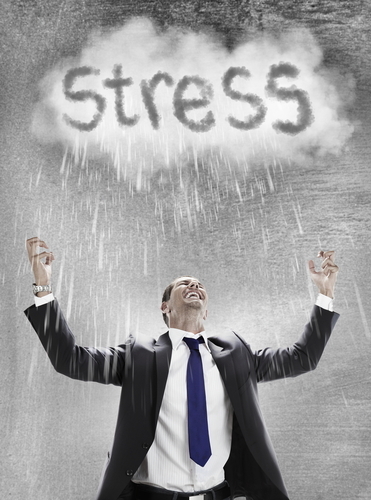 Associated Symptoms of stress can be cognitive, emotional, physical, or behavioral. The initial step in treating stress is often prevention, learning to read the signs that stress is coming on, and self-managing stress. These options can consist of relaxation techniques, talking with someone, exercise, and support in, for example, planning and organization. When stress remains after applying these ‘basic’ options, stress management groups, counselling or Cognitive Behavioral Therapy (CBT) is commonly recommended. In cases of more severe health problems, prescribed medication could be considered. Another option to reduce stress is Neurofeedback. Neurofeedback training has proven to be very helpful with stress, especially since the central nervous system – which enables the body to produce stress hormones – is trained to cope better with varying demands to avoid stress. This is different to managing stress, where one learns to deal with stress symptoms, or medication, which suppresses the symptoms. With Neurofeedback, the central nervous system can be stabilized. Additionally, the agitation caused by stress can be calmed down and self control can be increased. This will decrease feelings of anxiety or anger and improve self-esteem, concentration and organizational skills. For more questions or to discuss how Neurofeedback training could help your stress, please get in touch. There is no fee and no obligation for your initial consultation. Please call BrainTrainUT today at (801) 686-9334.